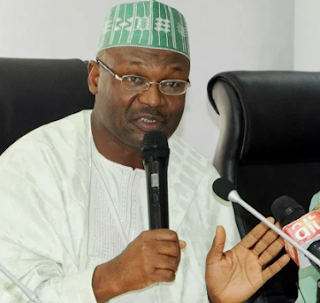 Chairman of the Independent National Electoral Commission (INEC), Professor Mahmood Yakubu, has said that there will be no use of the electronic voting system in the 2019 general elections. The chairman of the electoral body disclosed this when he spoke at the International Press Institute world conference which took place in Abuja. "There is no electronic balloting in 2019. In other words, there will be no electronic voting in the next general election but technology is already being used in many aspects of the processes. Electronic voting should be the ultimate step in the chain involving five inter-related processes,” he said. Some Nigerians have called for the use of electronic voting in the forthcoming election. They argue that electoral voting will prevent rigging and electoral malpractice during the election.